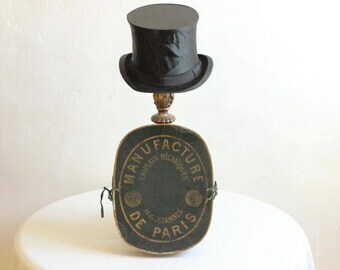 French antique / vintage collapsible silk top hat with mechanism for folding and makers stamp. 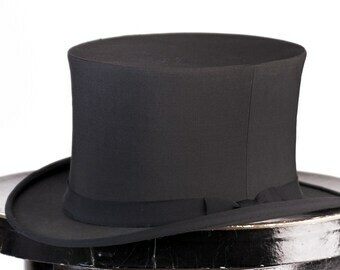 Collapsible Silk Top Hat, Victorian with Original Box, Ca: 1890s. 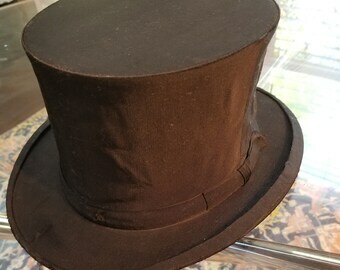 MINT VINTAGE Top Hat Opera Hat: British 1930s Collapsible Top Hat, Opera Hat, Topper, Unusual Large Size and original British box!